There isn’t a right or wrong way to plan for your wedding cake. Pick out the design then select from the flavors available. So what’s the big deal? The Wedding Cake can be, and traditionally should be, recognized as the “main act” at your wedding reception so why not spend a little bit more time when designing and picking it out? 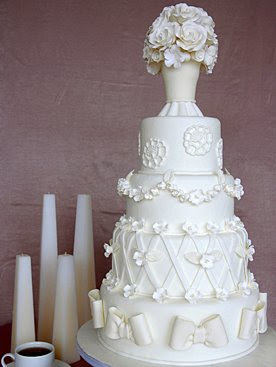 Here are a few things to think about when pulling ideas for your wedding cake design. for the sweet tooth lovers and maybe having a light fluffy lemon cake with a raspberry filling for your fruit lovers! Depending on the size of the cake will determine how many combinations one can have. 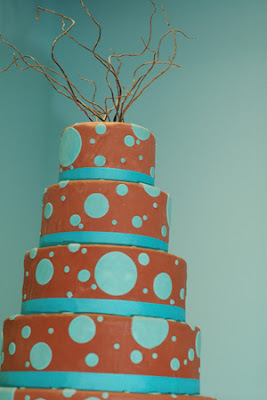 the fee and put it towards the balance due on the cake if you choose them as your wedding’s pastry chef. Most will be happy to do so. 3. Investigate Design :: You have researched through hundreds of pages of bridal magazines and think you have found the perfect cake. You take your designs to the pastry chef, they agree that they can “pull this one off”. It’s your wedding day and your cake looks nothing like the picture. What a disappointment. My suggestions? Look at the pastry chef’s past work. Is the presentation of the frosting (buttercream or fondant most times) smooth? 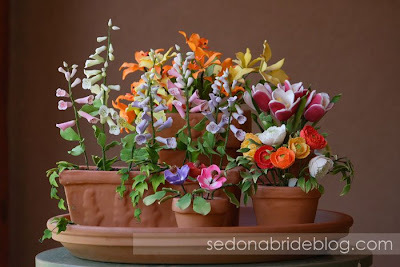 If there are flowers added are they real flowers, store bought flowers or handmade flowers? All pastry chef’s have a strength. Some it is design, some it is taste and for a few lucky ones it might be both. 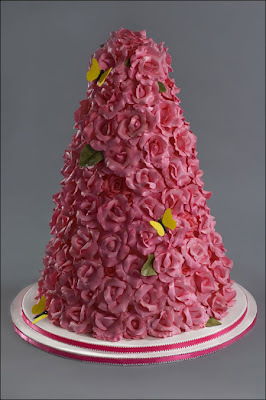 So don’t just look at the pretty cakes, check out their overall design elements. Here are a few of my favorite local pastry chef's. Two stunning designs by Classic Cakes and Confections. Ella makes all her flowers by hand! 4. Draw your Design :: Wedding Couples are so visual, really, who isn’t? In turn, ask the pasty chef to sketch exactly what your cake will look like, including colors, height, dimension, etc. Then ask them for a copy of the drawing so you both have something to reference too. 5. Ask for References :: “It’s just a cake!”, you may be thinking but what kind of cake are you going to spend a few hundred to several thousand on? Your wedding cake. So treat the pastry chef’s involvement just like you would any other wedding vendor. Ask your for their last 3 wedding clients. This way their client’s opinions are fresh, honest and most recent. Does anyone have a cake story to share? What went wrong? What went right?